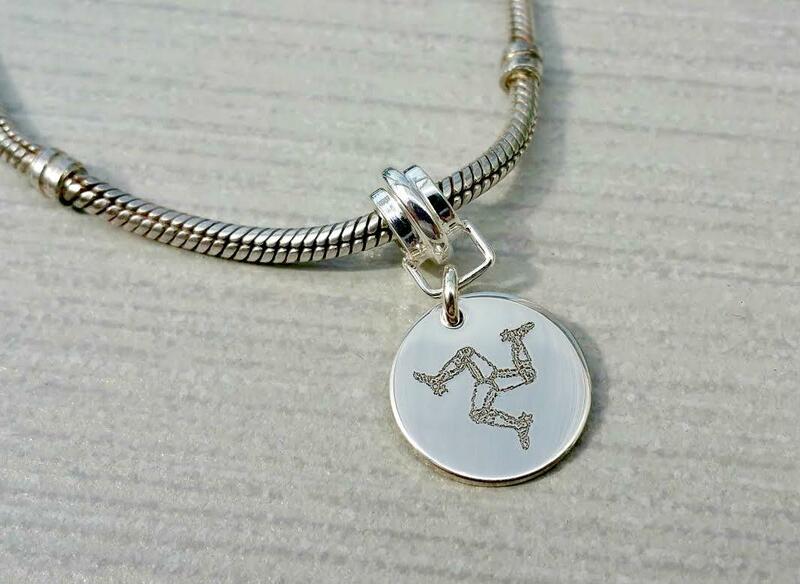 Bracelet charm engraved with the Three Legs of Man. The charm is compatible with all popular makes of charm bead bracelets. Dimensions - 15mm diameter disc, 1.2mm thick silver. 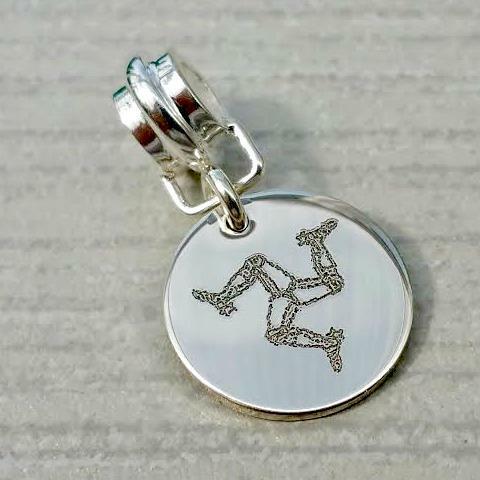 Presented in a charm gift box. Supplied with silver care instructions. Orders are usually ready to be dispatched within 10 working days. Charm bracelets are available here should you wish to purchase one.